Of all the thinkers of the century of genius that inaugurated modern philosophy, none lived an intellectual life more rich and varied than Gottfried Wilhelm Leibniz (1646–1716). Trained as a jurist and employed as a counsellor, librarian, and historian, he made famous contributions to logic, mathematics, physics, and metaphysics, yet viewed his own aspirations as ultimately ethical and theological, and married these theoretical concerns with politics, diplomacy, and an equally broad range of practical reforms: juridical, economic, administrative, technological, medical, and ecclesiastical. Maria Rosa Antognazza’s pioneering biography not only surveys the full breadth and depth of these theoretical interests and practical activities, it also weaves them together for the first time into a unified portrait of this unique thinker and the world from which he came. At the centre of the huge range of Leibniz’s apparently miscellaneous endeavours, Antognazza reveals a single master project lending unity to his extraordinarily multifaceted life’s work. Throughout the vicissitudes of his long life, Leibniz tenaciously pursued the dream of a systematic reform and advancement of all the sciences, to be undertaken as a collaborative enterprise supported by an enlightened ruler; these theoretical pursuits were in turn ultimately grounded in a practical goal: the improvement of the human condition and thereby the celebration of the glory of God in His creation. 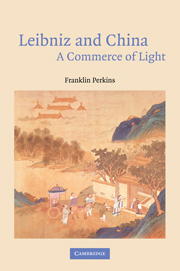 As well as tracing the threads of continuity that bound these theoretical and practical activities to this all-embracing plan, this illuminating study also traces these threads back into the intellectual traditions of the Holy Roman Empire in which Leibniz lived and throughout the broader intellectual networks that linked him to patrons in countries as distant as Russia and to correspondents as far afield as China. "This is a magnificent portrait of Leibniz in all his depth and complexity. Antognazza’s Leibniz is a philosopher and a mathematician, a diplomat, a theologian, a courtier, an historian and an engineer, but most of all a human being, struggling to realize his grand ambitions. Antognazza has written the biography that we have been awaiting for many years, and it will be the standard account for many years to come." "This unsurpassed, sensitive, and accurate picture of Leibniz the universal genius based on a thorough study of the sources and the criticism as well as of the historical contexts deserves to be extolled as a masterpiece. It is an intellectual adventure to read it and get unexpected rich information." 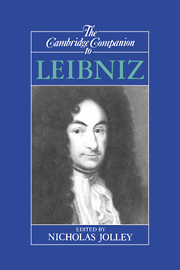 "This is a superbly crafted and exhaustively researched account of the development of Leibniz’s thought, his ambitious plans and undertakings, his myriad intellectual engagements, and his ceaseless comings and goings across Europe. It captures, accurately and in great detail, the remarkably expansive mind of a singularly creative thinker. 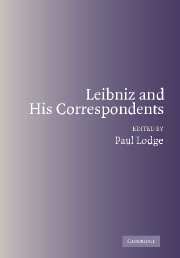 It is an extraordinary achievement, for the task of writing an intellectual biography of Leibniz is huge. 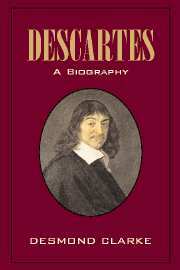 To read even a portion of what he wrote and read, in the languages in which he wrote and read it, to come to grips with the nuances of religion, politics, and intellectual practice that define his world, and to identify the hundreds of individuals, illustrious and forgotten, with whom he interacted would challenge even the most skilled and dedicated scholar. There is no doubt that Antognazza has met this challenge with a biography that surpasses any available account of Leibniz’s life. … This is a work of unparalleled scholarship that is certain to remain the standard source on its subject for many years to come. It can be read with profit by anyone with an interest in comprehending the breadth and brilliance of Leibniz’s philosophical vision." "Maria Rosa Antognazza's book is a meticulously researched and eloquently written biography that will be both an indispensable reference for scholars of Leibniz's thought and the definitive account of his intellectual development for many years to come. 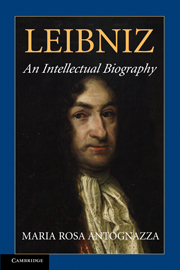 Antognazza's considerable achievement is in marshaling a vast range of sources, both published and unpublished, to compose a comprehensive intellectual biography which surveys the incredible scope of Leibniz's intellectual and practical endeavors." "...His contributions to many fields were significant, and in some cases groundbreaking. 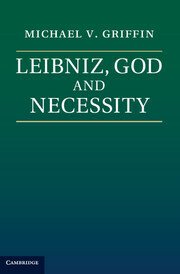 Thus, a fundamental difficulty faces any Leibnizian biographer, and especially someone seeking to give a reasonably broad account of Leibniz’s intellectual interests and contributions: how to convey some sense of the scope and significance of Leibniz’s intellectual interests and achievements while maintaining some measure of biographical and chronological coherence. Maria Rosa Antognazza has succeeded admirably in this task and her biography will be a standard reference in Leibnizian studies for years to come. 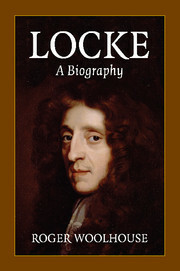 … Leibniz scholarship stands very much in her debt, and there can be little doubt that this is now the definitive intellectual biography of the seventeenth century’s most versatile genius." 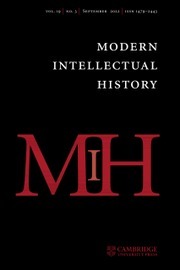 "… fulfils the task successfully, and proves the good that can come from combining a historically accurate account with a philosophically compelling analysis … Janiak masterfully steers his interpretive analysis through an extraordinarily rich historical material, while the philosophically rigorous narrative takes the reader from one chapter to the next in a compelling way. The final result is a brilliant book that has an important story to tell about Newton's "physical metaphysics" and it makes it an occasion for a thousand wider meditations … Janiak's Newton sheds new light on the vexed issue of the relationship between Newton's physics and his metaphysical and religious beliefs, and on how the latter informed and illuminated the former … Janiak's monograph offers an essential contribution to the ever-growing field of history and philosophy of science, and proves once more what can be achieved by masterfully integrating intellectual history of science with philosophy." 9. Epilogue: last years in Hanover (September 1714–November 1716). Maria Rosa Antognazza is Professor of Philosophy at King's College London. She is the author of Leibniz on the Trinity and the Incarnation: Reason and Revelation in the Seventeenth Century and has contributed to The Cambridge History of Eighteenth-Century Philosophy.